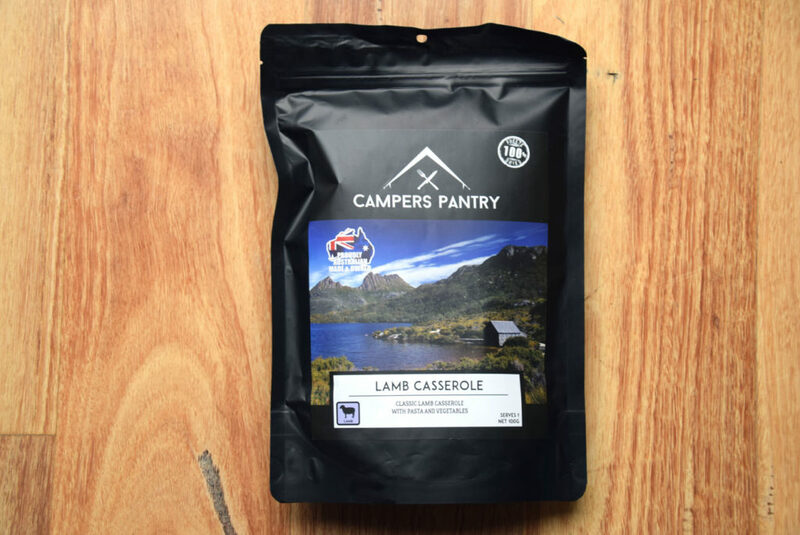 Campers Pantry is best known over the past couple of years as producers of high quality freeze dried vegetables but in late 2017 they became the newest entry into the Australian freeze dried meal market releasing ten main meal options in addition to three dessert choices. I was lucky enough to test out some of the prototypes and based on that, I was eagerly awaiting the appearance on the market. These meals are progressively becoming more commonly available and can also be ordered both online, in store and through the supplier. On simple overnight trips, I find the single serve offerings from Back Country work well but on multi week trips they are just not enough. The larger single serves from Campers Pantry suit those of us with bigger appetites who don’t want to go with the full twin serve option. 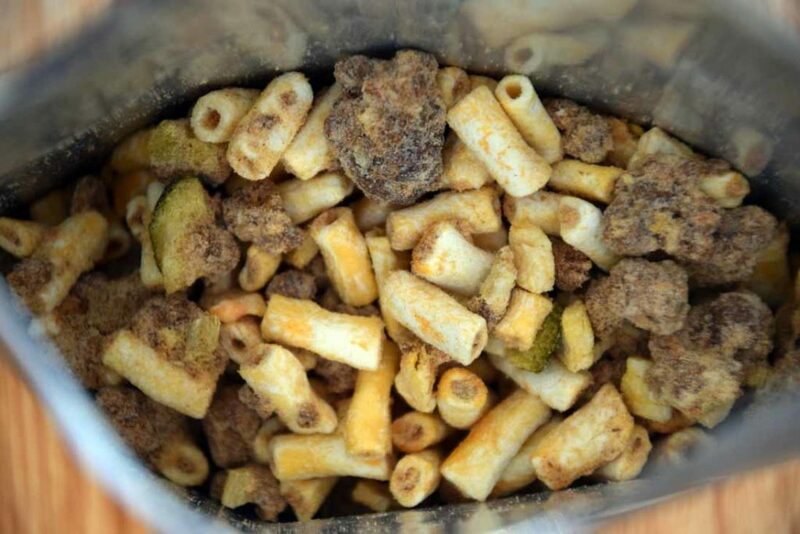 In addition these meals offer some great variety rather than trying to repeat what is already on offer and in doing so, expand the freeze dried meal choices on offer. This includes two vegetarian offerings, that means that everyone should be happy. The first few spoonfulls of this meal left me in two minds about whether I liked it or not but the more I ate the more I wanted to eat. The best way I can describe this meal is ‘comfort food ‘as it left me feeling warm and content. The ratio of meat, pasta and vegetables are good, the texture is good and the quantity works well. 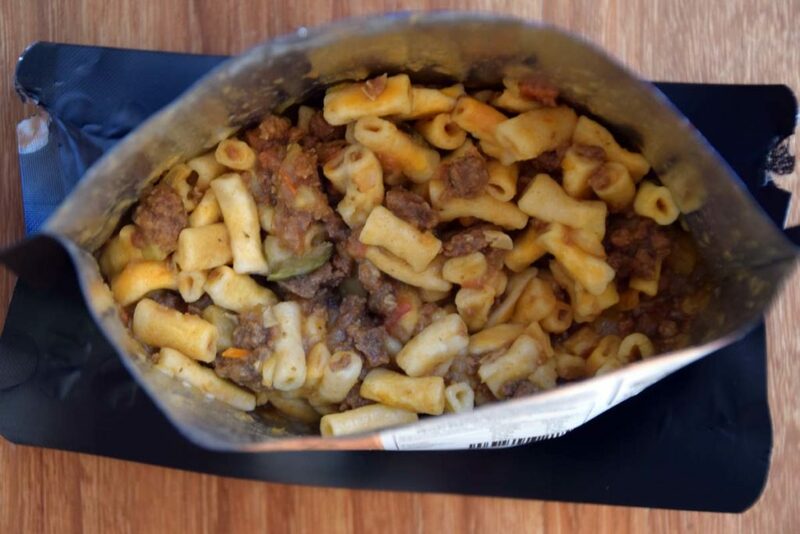 Campers Pantry meals are noticeably less artificial than many of the existing meal choices on the Australian market. In addition there is less salt and as someone who doesn’t add salt to food, I appreciate this. Campers Pantry meals have a high protein content which is so important particularly over the longer trips. The Lamb Casserole has 38 grams of protein per single serve pack compared to under 16-17 grams per serve from other meals on offer. Other meals from Campers Pantry have much higher protein content again. And the calorie count for a single serve is also much higher meaning you can minimise the weight you carry to get the appropriate amount of food (listen to our Podcast 057 on nutrition on the trail on the importance of protein on longer trips). The Campers Pantry bag recommends adding a minimum of 250 grams of boiling water to rehydrate this meal but the supplier informed me that when the bags are reprinting the recommendation will increase. I added 300 mls of water and this quantity worked well creating a good consistency. Campers Pantry recommend allowing 20 minutes for rehydration with an occasional stir and partly this is due to the extra protein in the meals requiring this additional time to absorb the water but also because the 10 minutes that the other manufactures recommend is not enough. From my perspective 14 minutes works well. So what is the final verdict? This will definitely be a meal that I add to my hiking mix and and more than happy to recommend it.